I think about food pretty much all day long. During work, on my lunch (of course), after my lunch (duh), driving home....all the time. I have several notebooks lying around where I write all my recipes and make notes to myself. I have hundreds of pages bookmarked on my browser. Yet there are moments when I am at a loss. What do I do next?! So much food to make and eat and healthify! It can be really overwhelming! 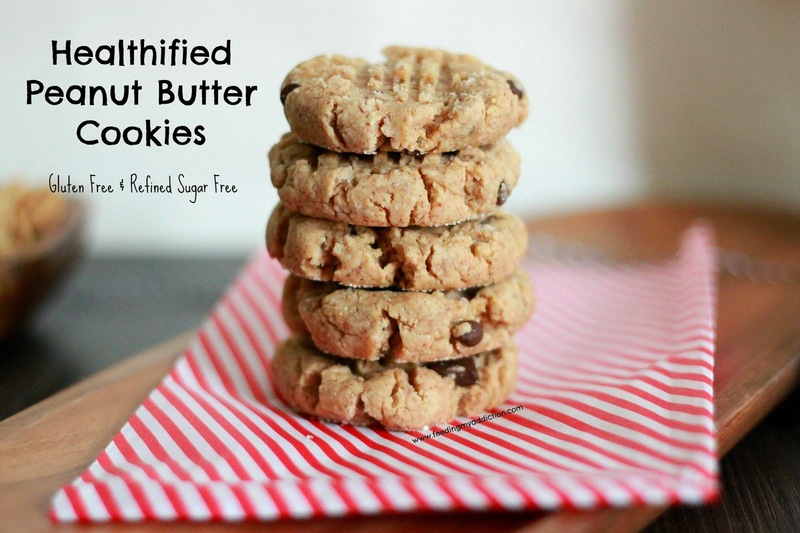 When I posed the question on my Facebook page a lovely friend suggested simple Peanut Butter cookies! An idea I had thought of earlier and forgot! Turns out I already wrote the recipe so I tweaked it a bit and went for it! And oh they looked so lovely. But...they tasted....not. Just...not. I mean they were not terrible -- and I would guess most of my dismay can be chalked up to a bad day and overly critical personality. But they were not what I wanted. If you know me at all I can be very meticulous. The devil is in the details, right? I could not sleep until I got an authentic peanut butter cookie. Soft and chewy in the middle with a nice crisp outer layer. Oh gosh these are good. And filling! But so so good! 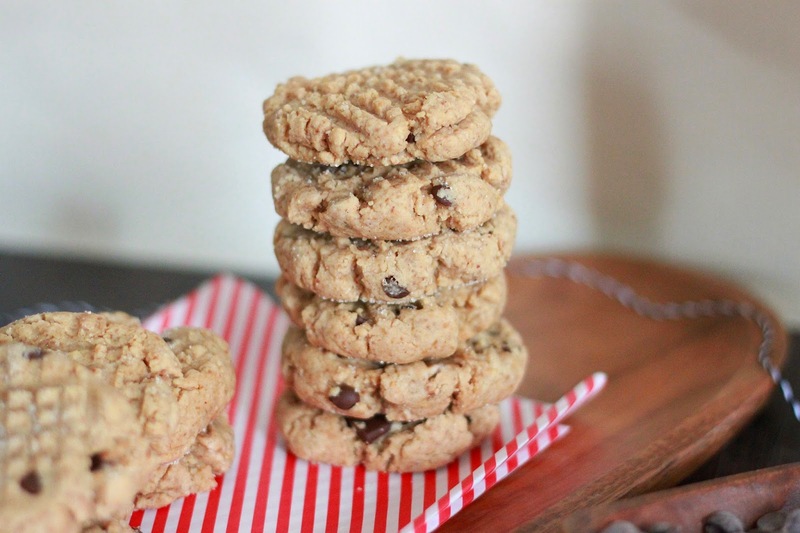 And of course you can omit the chocolate chips to get an honest to goodness classic cookie. I know most of my recipes are usually refined sugar free but in this recipe I did add in some coconut/cane sugar mixture. It really made a huge difference so if you can -- or if you have granulated stevia -- that would be good, too! By the time I finished these cookies I was pooched. And a bit skeptical. But I was also out of chocolate and peanut butter...and flour so it was my Hail Mary to the cookie endzone. 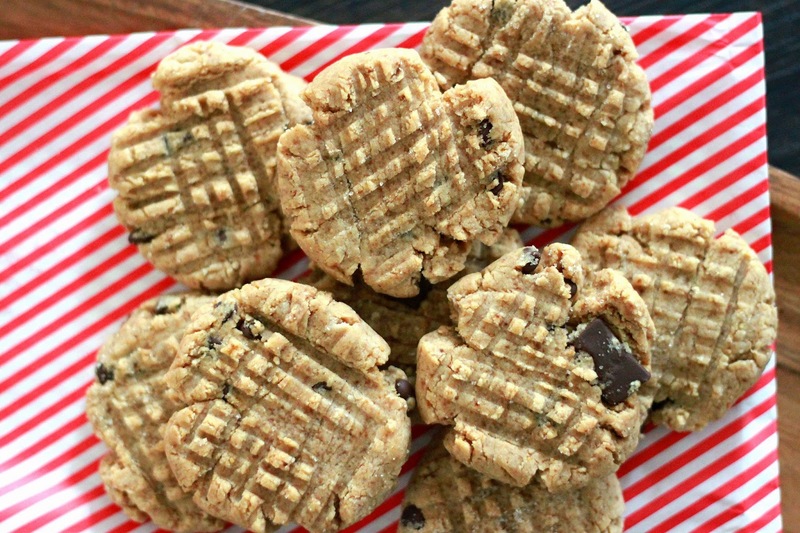 I promise you these cookies are absolutely WONDERFUL! They are sturdy and hold up well if you want to pack them for a snack and warm and gooey right out of the oven. It's always good to have a healthified version of a classic, right? RIGHT! So let's get to the recipe. 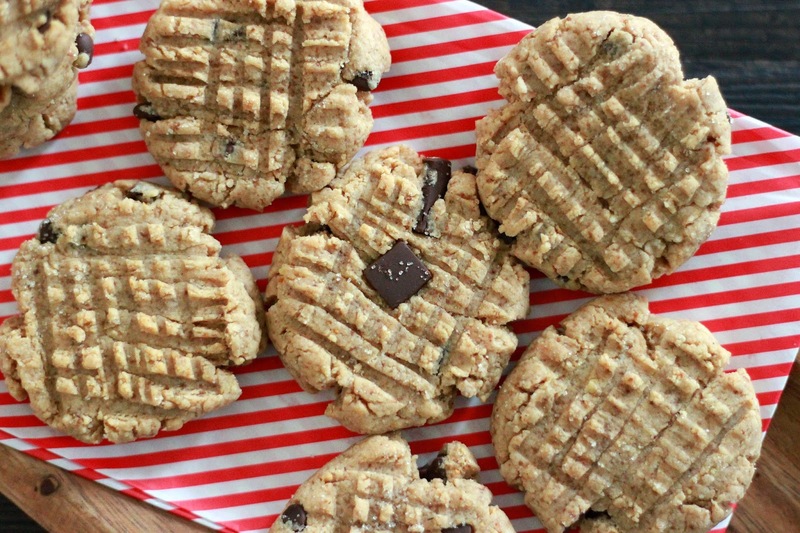 Peanut butter lovers unite! These make the entire house smell like a big peanut butter cup! Ahhhhh! You can omit the chocolate chips if you'd like...but aren't they adorable? And necessary? You can sprinkle a TINY amount of coarse sugar on top before baking like I did -- you can omit the chocolate -- you can do whatever you liiiiike (T.I style)! You can get high and pile them! WAIT NO! Don't do that. 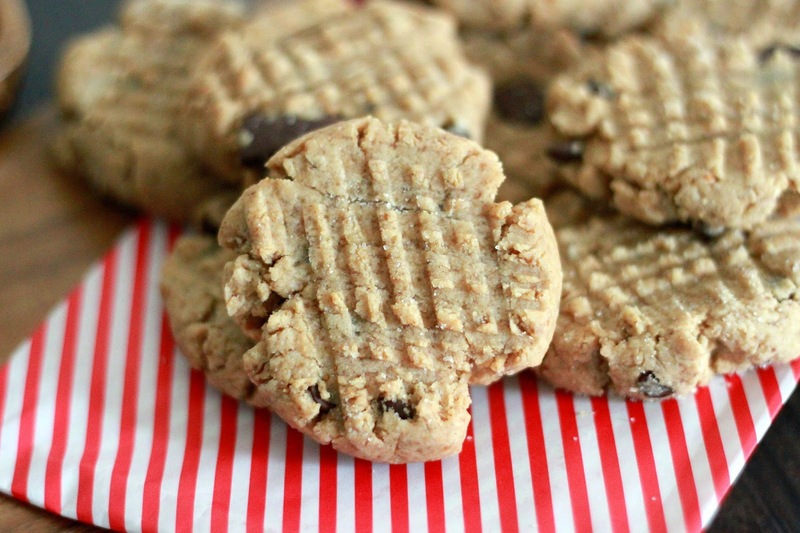 Just make these cookies and drink them with a big cold glass of almond milk. Or coconut milk? Or milk milk? Or....just eat the cookies, ok!? I do love that little cross-cross! 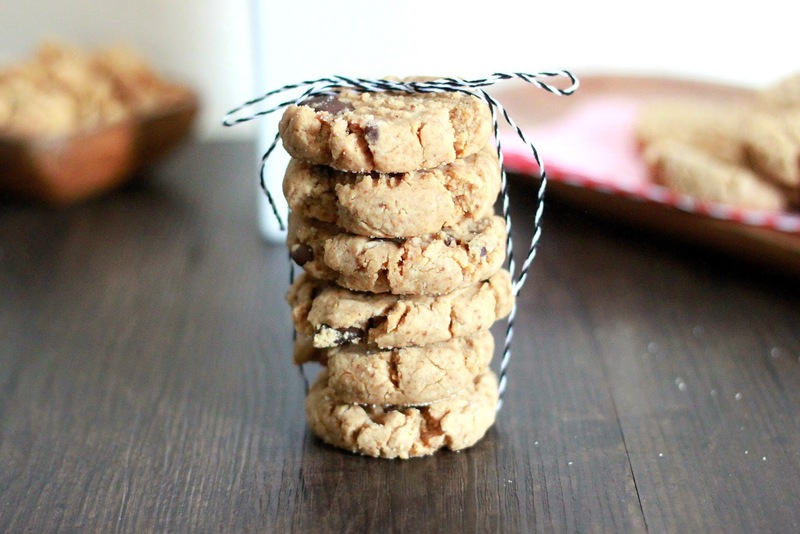 You can't make peanut butter cookies without them, right?! These cookies are amazing. 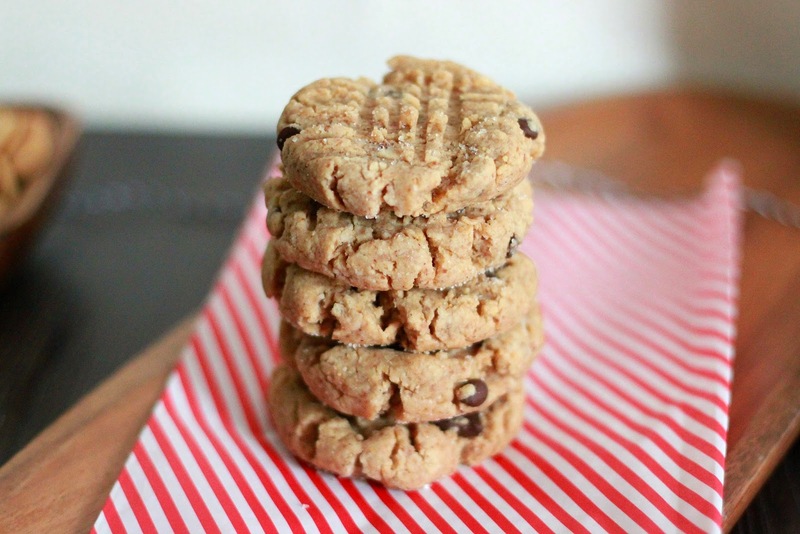 Dense and peanut buttery and sweet (but not overly so). They have all the makings of a peanut butter cookie! They may crack a little around the edges but I love them all the same! 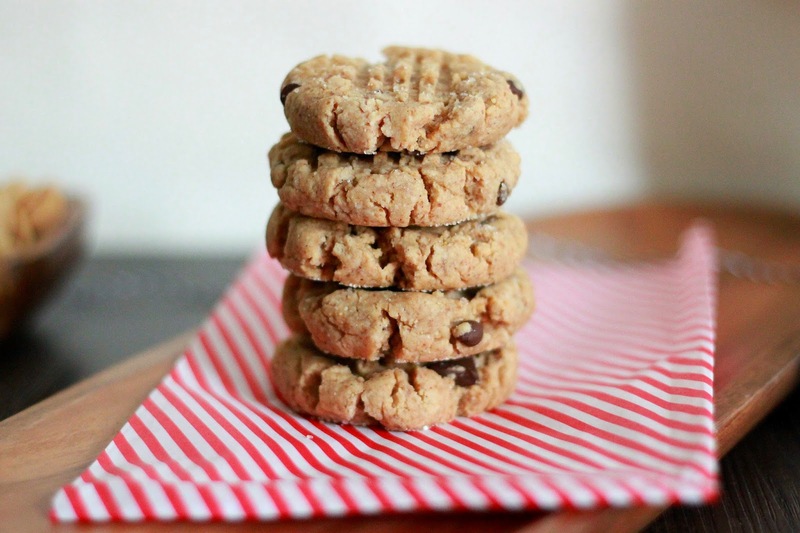 What's your favourite kind of cookie? Classic? Something crazy? Do share!